Since March of 2001 we have operated of our own on site crematory. Although cremation dates back to ancient times, it has only recently become a more common choice throughout the United States. People choose cremation for a variety of reasons. Some do so based on environmental considerations. Others have philosophical or religious reasons. Many people believe that choosing cremation means limiting your options. Actually, there are a variety of options available with cremation. Most families hold services, which help the bereaved cope with the loss of a loved one. Many people find that opting for cremation gives them the opportunity to create and personalize the various service options for a more meaningful experience. The greatest misunderstanding about cremation is the belief that with cremation, there is no need for services. However, a service or memorial ceremony is an important step in helping the bereaved overcome their grief, and gives family and friends the opportunity to honor a loved one. Services or ceremonies can precede or follow the actual cremation. 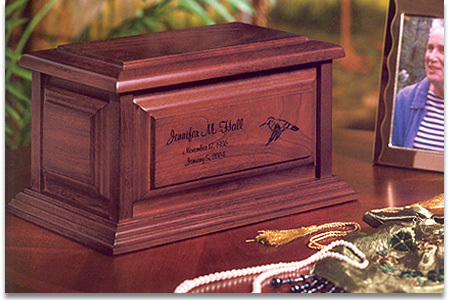 Prior to cremation, there may be a gathering, which can be either public or private, with an open or closed casket. When the service follows the cremation, a receptacle or urn containing the cremated remains may take a place of prominence. Ceremonies can be simple, contemporary, religious or secular. Music, readings, stories and poetry can be added to personalize the event to both reflect on and celebrate the life that was lived.